The above verse is one of the octet of the Tripura Sundari Ashtakam, which means I prostrate before her, who is the beauty of the three worlds, lives in the Kadamba forest, holds a golden holy Veena, wears a divine garland of gems and whose face gleams with joy and mercy bestows wealth, who is present everywhere and the one who belongs to the three-eyed family (Shiva). The ancient Jwalamukhi Tripurasundari Temple is located in Uthanahalli, Mysore at the foot of Chamundi Hills. 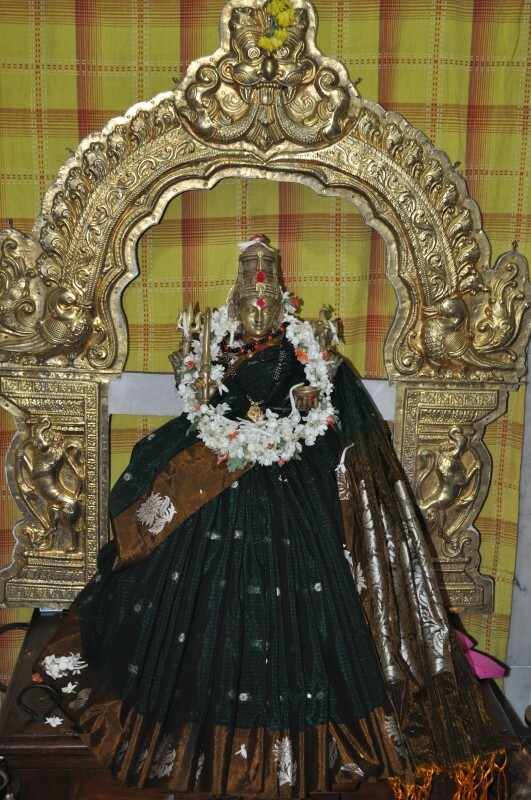 She is believed to be the sister of Goddess Chamundeshwari, the presiding deity of Chamundi hills temple. 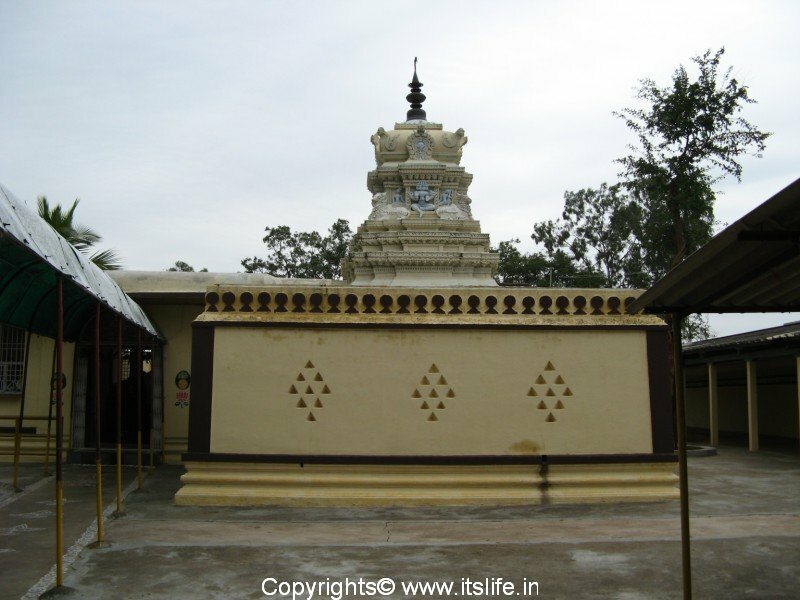 Jwalamukhi Tripura Sundari temple is approximately 7 kilometers from the center of Mysore and is 3 kms from Chamundeshwari temple atop the hills. Jwalamukhi means a person with energy of fire and some believe that she represents the flaming mouth of Jalandhara, the demon whom Lord Shiva crushed to death using huge masses of mountains. Tripura Sundari means beauty of the three worlds. The temple idol was installed during the rule of the Wodeyars. 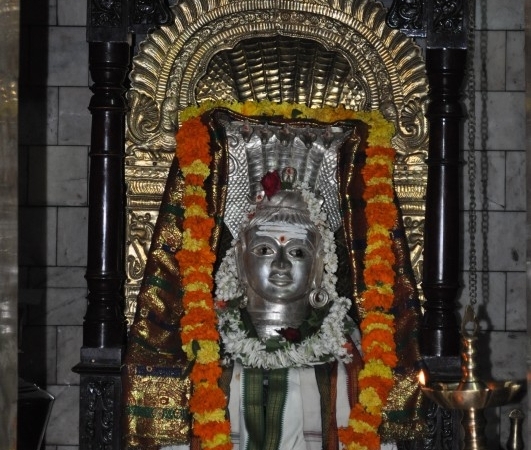 A utsava murthy of the idol made of pancha loha / 5 metals is kept in the sanctum sanctorum. This idol is 5 years old. Now, a new courtyard is built all around the temple to protect it. Another shrine inside the temple is dedicated to Lord Siddeshwara / Shiva. 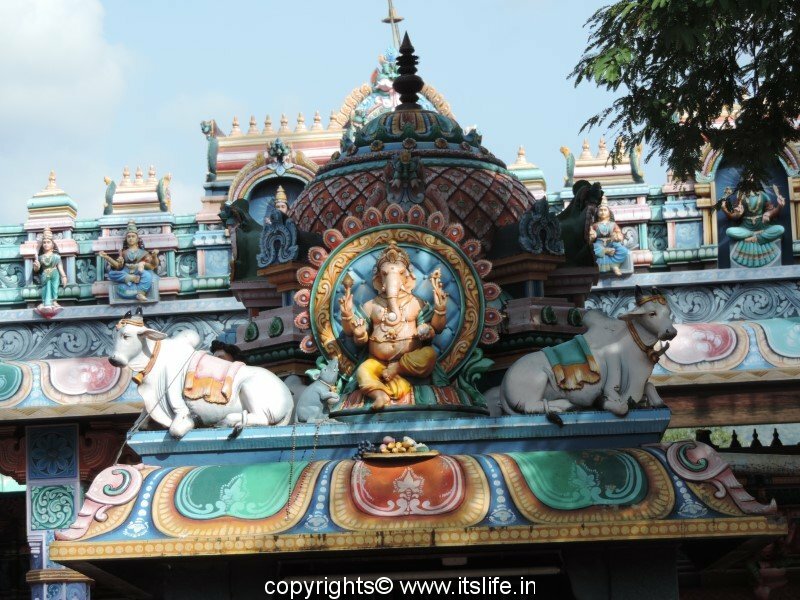 The idol has a prabhavali and is surrounded by a beautiful wooden Mantapa. Tourists and devotees throng the temple for darshan/blessings. hi, i was so happy to find about Jwalamukhi temple at Uttanalli near mysore in your site. I visited the temple recently and found the goddess beautiful and powerful. 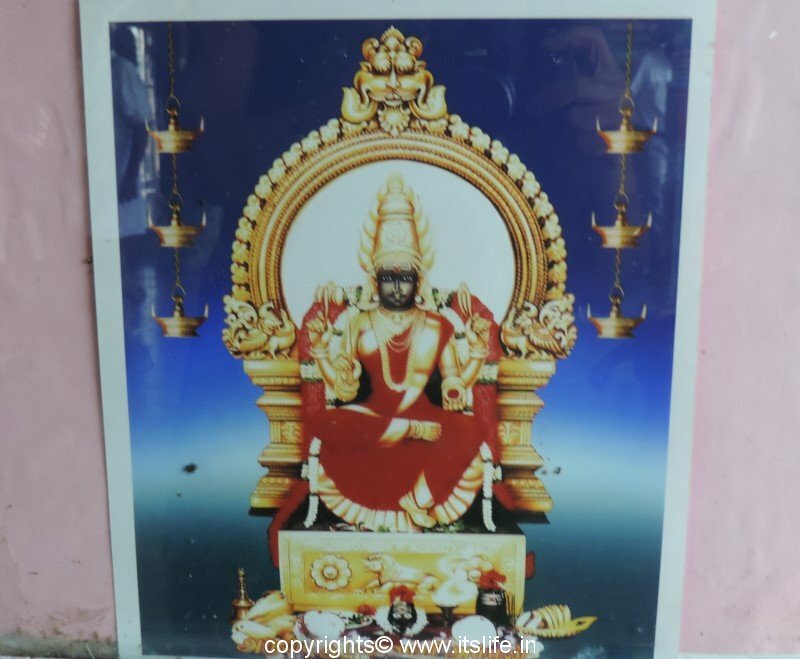 can you kindly tell me where i can get more details about the story of Jwalamukhi ammanavaru? Would really like to know about the stalamahatme. Glad to hear you visited the place. You will have to ask the priest in the temple about the temple. He might be able to throw some light on the place. I did go to Jwalamukhi temple again recently. I found some young priests when i went there this time, they are quite clueless. May be older ones will know the history of the place. I have been following your blog, i like it. Especially the recipes, i am great foodie and love cooking for myself and others. Good to hear that you are following my blog. Thank you. If at all I get any info regarding this place, I will update this post and let you know. visited your website, very informative and useful. places with details are useful for planning visit. it is good that u are dedicating yr. time and writing the blogs, which are informative and useful about finding places for visit. Thank you so much for your encouraging words Padmanabhan. Keep visiting, there is more to come. Thank you Vimala for the lovely narration. The readers will be greatly benefited. Today i saw about the great Mother Jwalamukhi tripura sundari in TV9. I am also faced with so many probs from many many sides. I have planned to visit the abode of the great mother. Hope her blessings will be showeed on me. Hope all your troubles vanish after your visit to this temple. I have seen Mother Jwalamukhi tripura sundari in tv9 iam also facing more problem iam not able to tell to anyone also. So let mother god Tripura sundari may bless my problem. Iam going to temple this friday. there was a programme in tv9 about it last sunday night 10.30pm , which will be repeated in the up comeing week. tomarrow friday 2.30pm in “heegu unte” telcast there is mention about jwalaji temple, mysore. if blog readers want, they can go through telecat tomarrow. Gunalan and Uma – Hope your problems are solved soon. 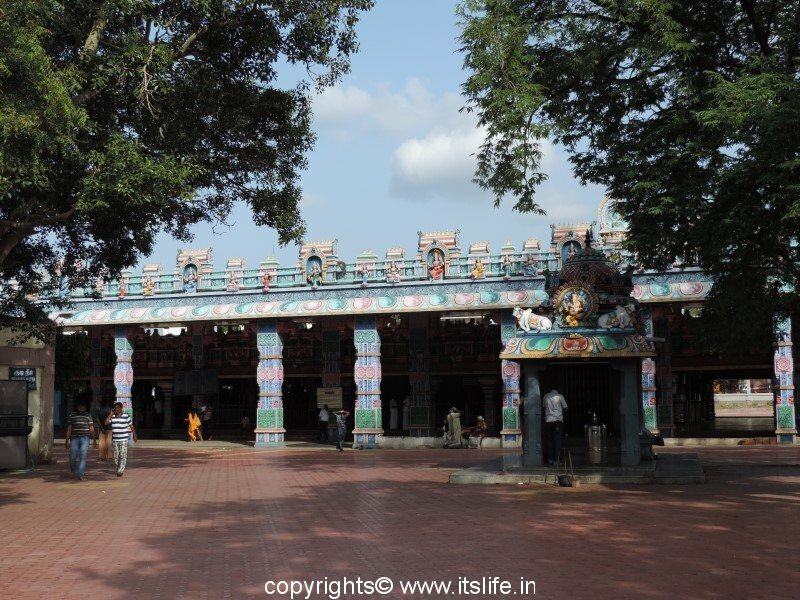 Uma, the temple is situated near the foothills of Chamundi hills. 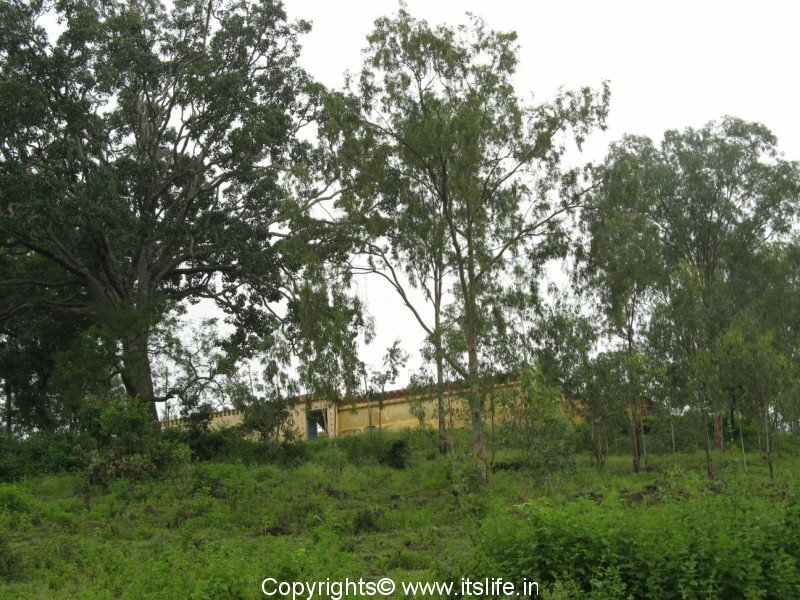 Janahvi – Thanks for the information. Hi Uma, Sorry, I am not sure about the timings but I am sure they are open in the evenings. 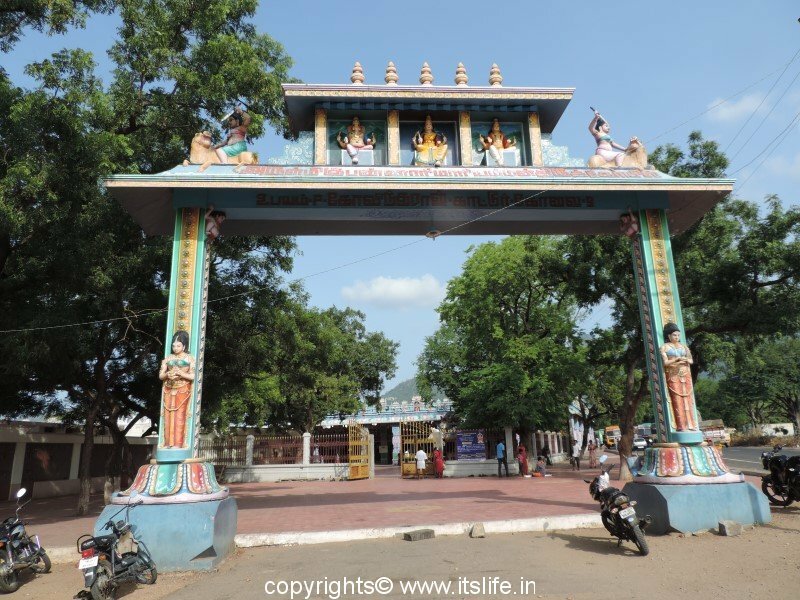 Uma – I really don’t know the timings nor the contact number of the temple, else I would have put the information in the post itself. i do not live in Mysore. Timeing is 7.00am to 2.00pm and 3.30pm to 8.30pm. Thank you Srinath for this valuable information. I will update the post with this information. 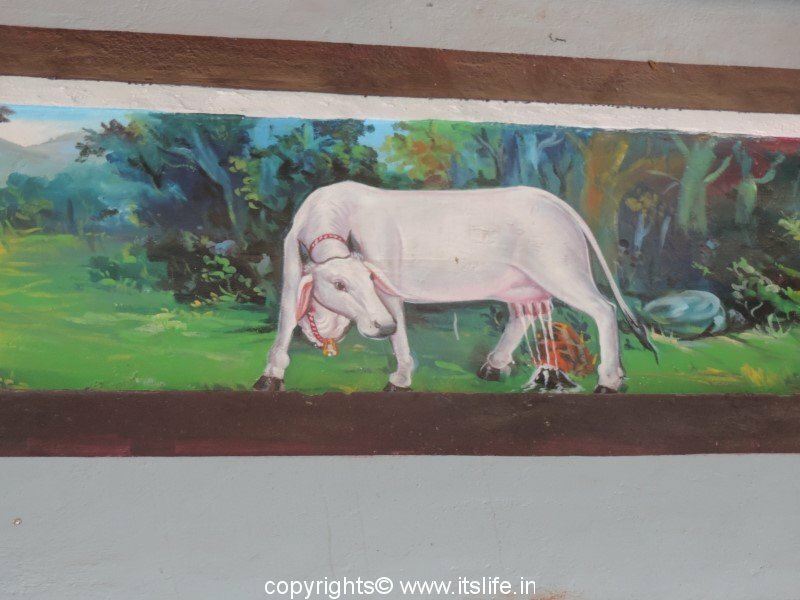 our visit to Mysore … & Balmuri falls . Comments & Feedbacks are welcomed !! 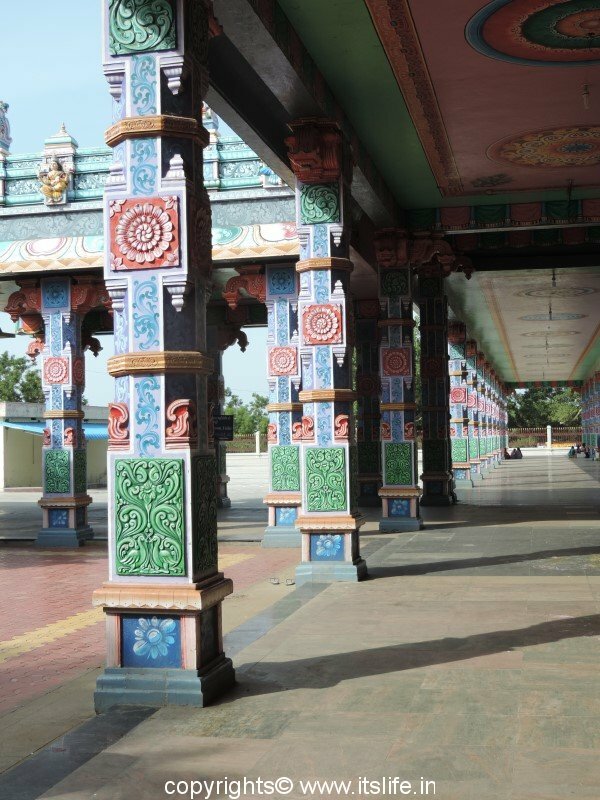 Amma,s temple is indeed beautiful.The minute u enter the temple you feel very serene, at peace. Hence the temple is worth visiting.One visit will definitely make to go there often. Thanks for writing your experience Veena. Thanks foir your information on timing…. Thank you Santhosh kumar for the information. Hope all your problems are solved as quickly as possible. Thank you Santhosh Kumar for the valuable information. Next time I will make sure to visit this place. JWAYAMUKI TRIPURA SUNDARI is a very powerful godess in the world. 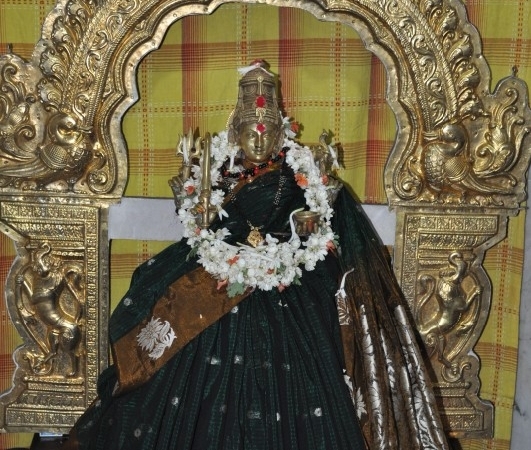 She is also called as Uthanahalli MAARAMMA. 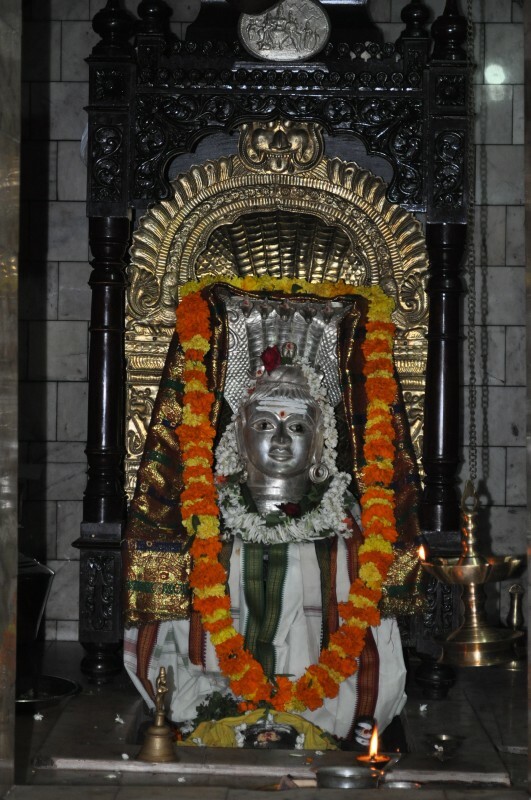 One and only the SISTER of CHAMUNDESHWARI…. Thanks for your feedback Saxena. Yes, the goddess is really powerful. I am not aware of any rules regarding the visits. 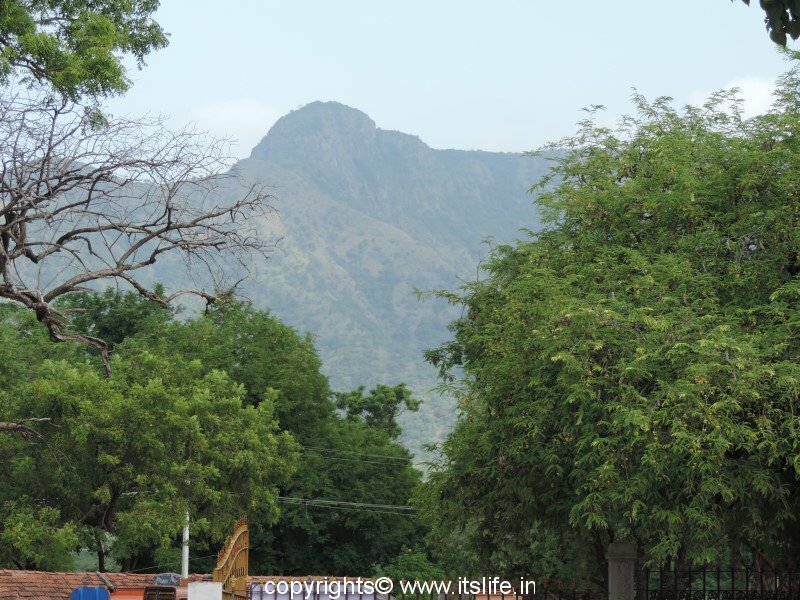 I always visit Chamundi hills when I visit this temple. Please ask the temple admin for information regarding buses to Chamundi from Uttanahalli. There is no telephone at the temple. I am so sorry that I do not have the pin code. Please inquire in the post office, they might help you. The photograph here is that of the utsav murthy. My sister took me to Maa Jwalamukhi temple last sunday.It is really calm place.To check,i simply surfed net., Thanks, Shantha,for updating information. Thanks for the information you provided, iam deeply in sorrow from 1 week ,looks like some one has did some black magic on me, my love is going far from me with no reason,one of my friend called me now and told me about this temple that if i visit here my problems will be solved, iam planning to visit here soon.Please pray for me,, and help me to over come this trouble. I do not believe in black magic and I believe that whatever is happening is happening for the good. Please have faith in god and pray for peace. I will surely include you in my prayers.